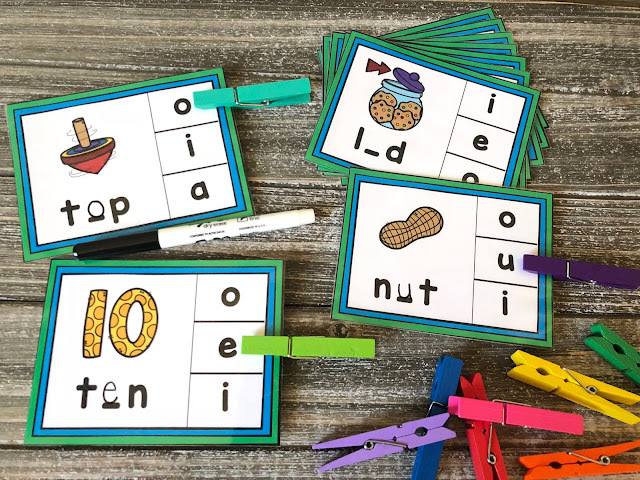 Clip cards are a fun way to practice phonics skills, and they are so easy to prep. 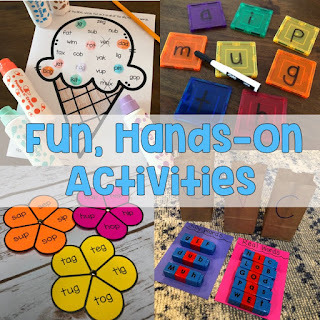 I just posted this free hands-on activity in my TpT store. 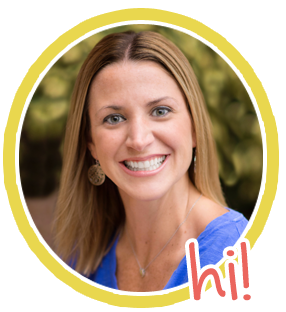 In this activity, students will work with CVC words to identify the medial vowel sound. 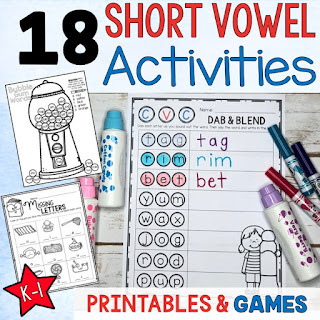 This short vowel activity is perfect for literacy centers, small groups, fast finishers, or phonics/word work. This set includes 20 short vowel clip cards and a recording sheet for accountability. Just print, laminate, and cut the cards. Add some clothespins and you have a new literacy center activity ready to go in minutes. This activity is ideal for Kindergarten and first grade students. Many preschoolers or transitional Kindergarteners that have mastered letter sounds would also enjoy this clip card activity. 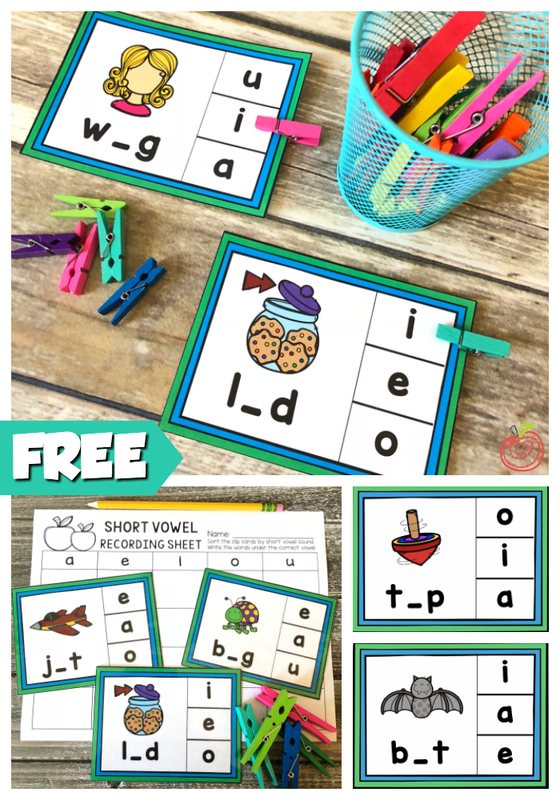 Do your students need more practice with short vowels and CVC words? Here are 18 fun learning activities and printables for Kindergarten and first grade students.